At CEP, we adhere to the core principle that grantees are a crucial link between funders and their ability to have impact. This shouldn’t be surprising nor controversial. After all, grantee organizations and the individuals who make them up are the ones doing the hard work on the ground, day in and day out. Yet, given the inherent power dynamic between grantmakers and grant seekers, it is challenging for funders to get candid feedback from grantees and grant applicants. For this project, we asked members of the panel what they would like foundation funders to do more of, and what they would like foundation funders to stop doing, or do differently. We sent an online survey to approximately 700 members of the panel in April 2018. We received 244 responses, resulting in a 36 percent response rate, and conducted thematic and content analysis on those responses to the survey items. To establish interrater reliability, coders coded transcripts until at least an 80 percent level of pairwise interrater agreement was achieved for 100 percent of the codes in the codebook. We are excited to share the most frequent suggestions we heard from nonprofit leaders in a series of five blog posts over the coming weeks. We offer discussion questions at the end of each post to spur conversation and, we hope, action. After all, what nonprofit leaders have to say should matter greatly to the funders supporting their work. Overall, nonprofits suggest that funders adopt what they see as common-sense practices that will help them do their work more effectively. Notably — and perhaps surprisingly — there were very few comments related to specific communities, fields, or issue areas, nor were there many comments about the current political context. Few radical suggestions were shared. Stay tuned over the coming weeks as we take a closer look at each of the five suggestions above. 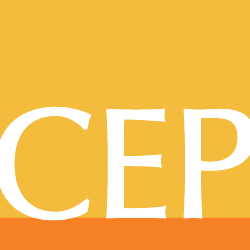 Naomi Orensten is director, research, at CEP. Matthew H Leiwant is a former associate manager, research at CEP.